3D TV Dies - Is it Really The End? Let's not beat around the bush: 3D TV is dead. It's sad news for those who are 3D fans, but it's time to face facts. No 3D TVs are being made. In fact, most manufacturers stopped making them in 2016. Before getting into the "why it all failed," it's important to know why it even started. It's something the "Avatar Effect". Although 3D movie viewing goes back decades, the release of James Cameron's Avatar in 2009 was a game changer. With its worldwide 3D success, movie studios not only started pumping out a steady stream of 3D movies into movie theaters but TV makers, beginning with Panasonic and LG, made 3D available for home viewing with the introduction of 3D TV. However, that was the beginning of several mistakes. Let's take a look at these three and other issues that plagued 3D TVs from the start. The first mistake was the timing of its introduction. The U.S. had just gone through a major consumer buying disruption with the implementation of the 2009 DTV transition, in which all over-the-air TV broadcasting switched from analog to digital. As a result, between 2007 and 2009 millions of consumers either purchased new HDTVs to meet the "new" broadcast requirements or analog-to-digital TV broadcast converters so that they could keep their older analog TVs working a little while longer. This meant that when 3D TV was introduced in 2010, most consumers were not ready to discard their just-purchased TVs, and reach into their wallets again, just to get 3D. Bad timing was just the first mistake. To view the 3D effect on a TV you had to wear special glasses. And, get this, there were competing standards that determined which glasses you had to use. Some TV makers (led by Panasonic and Samsung) adopted a system referred to as "active shutter". In this system, viewers had to wear glasses that used shutters that alternately opened and closed, synchronized with alternately displayed left and right eye images on the TV to create the 3D effect. However, other manufacturers (led by LG and Vizio) adopted a system referred to as "passive polarized", in which the TV displayed both the left and right images at the same time, and the required glasses used polarization to provide the 3D effect. However, a major problem was that the glasses used with each system were not interchangeable. If you owned a 3D TV that required active glasses, you could not use passive glasses or vice versa. To make matters worse, even though you could use the same passive glasses with any 3D TV that used that system, with TVs that used the active shutter system, you couldn't necessarily use the same glasses with different brands. This meant that glasses for Panasonic 3D TVs might not work with a Samsung 3D TV as the sync requirements were different. Another problem with 3D glasses was the cost. Although passive glasses were inexpensive, active shutter glasses were very expensive (sometimes as high as $100 a pair). For a family of 4 or more or if a family regularly hosted a movie night that cost was pretty high. Uh-oh, more costs ahead! In addition to a 3D TV and correct glasses, to access a true 3D viewing experience, consumers needed to invest in a 3D-enabled Blu-ray Disc player and/or buy or lease a new 3D-enabled cable/satellite box. Also, with internet streaming starting to take off, you needed to make sure that your new 3D TV was compatible with any internet services that offered 3D streaming. In addition, for those that had a setup where video signals were routed through a home theater receiver, a new receiver would be required that was compatible with 3D video signals from any connected 3D Blu-ray Disc player, cable/satellite box, etc. Realizing that some consumers might not want to purchase all the other gear needed for a true 3D viewing experience, TV makers decided to include the capability of 3D TVs to perform real-time 2D-to-3D conversion – Big Mistake! Although this allowed consumers to watch existing 2D content in 3D right out the box, the 3D viewing experience was poor – definitely inferior to viewing native 3D. Another problem with 3D TV is that 3D images are much dimmer than 2D images. As a result, TV makers made the big mistake of not incorporating increased light output technologies into 3D TVs to compensate. However, what is ironic, is that with the introduction of HDR technology in 2015, TVs began to be made with increased light output capability. This would have benefited the 3D viewing experience, but in a counter-intuitive move, TV makers decided to dump the 3D viewing option, focusing their efforts on implementing HDR and improving 4K resolution performance, without keeping 3D in the mix. 3D is very difficult to implement for live TV. In order to provide 3D TV programming, two channels are required, so that standard TV owners could still watch a program normally on one channel, in addition to those wanting to watch in 3D on another. This meant increased cost for broadcast networks to provide separate feeds to local stations, and for local stations to maintain two separate channels for transmission to viewers. 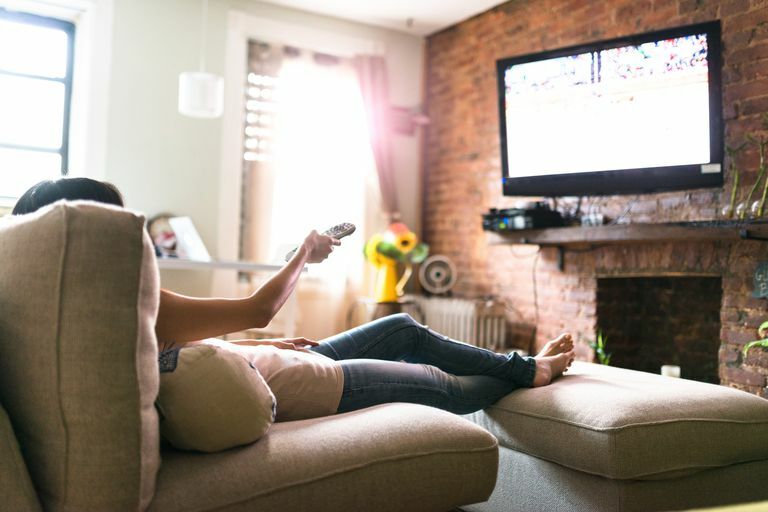 Although multiple channels are easier to execute on cable/satellite, many consumers were not interested in paying any extra required fees, so offerings were limited. After an initial number of 3D cable and satellite offerings, ESPN, DirecTV, and others dropped out. However, Vudu, 3D Crave, and some other internet streaming content channels still provide some 3D content, but how long that will last is anyone's guess. Another reason 3D failed was the poor retail sales experience. At first there was a lot of sales hype and 3D demonstrations, but after the initial push, if you walked into a lot of retailers looking for a 3D TV, the sales people no longer provided well-informed presentations, and 3D glasses were often missing or, in the case of active shutter glasses, not charged or missing batteries. The result was that consumers that may have been interested in buying a 3D TV would just walk out of the store, not knowing what was available, how it worked, how to best optimize a 3D TV for the best viewing experience, and what else they needed to enjoy the 3D experience at home. Also, sometimes it was not communicated well that all 3D TVs can display images in standard 2D. In other words, you can use a 3D TV just like any other TV in cases where 3D content is not available if 2D viewing is desired or more appropriate. For a variety of reasons, not everyone likes 3D. If you are viewing with other family members or friends, and one of them doesn't want to watch 3D, they will just see two overlapping images on the screen. Sharp offered glasses that could convert 3D back to 2D, but that required an optional purchase and, if one of the reasons that the person didn't want to watch 3D was because they didn't like wearing glasses, having to use a different type of glasses to watch 2D TV, while others are watching the same TV in 3D was a non-starter. Unlike going to the local cinema or using a home theater video projector and screen, the 3D viewing experience on a TV is not the same. Another setback was the decision not to include 3D into 4K standards, so, by the time the 4K Ultra HD Blu-ray disc format was introduced in late 2015, there was no provision for implementing 3D on 4K Ultra HD Blu-ray Discs, and no indication from movie studios to support such a feature. In the short term, there are still millions of 3D TVs in use in the U.S. and around the world (3D TV is still big in China and to some extent in Europe), so movies and other content will still be released on 3D Blu-ray for the near future. In fact, even though 3D is not a part of the Ultra HD Blu-ray Disc format, most players play 3D Blu-ray Discs. If you have a 3D-enabled Blu-ray or Ultra HD Blu-ray disc player, and a 3D TV, you will still be able to play your current discs, as well as any forthcoming 3D Blu-ray disc releases. There are about 450 3D Blu-ray Disc movie titles available, with more in the short term pipeline. Most 3D Blu-ray Disc movies also come packaged with a standard 2D Blu-ray version – Check out some of our favorites. Disney and Paramount are no longer marketing movies on 3D Blu-ray Disc in the U.S., but they are available in other select markets. This means that you may have to purchase them from international sources. If you do, make sure they are region code compatible with your player and that they have an English soundtrack or subtitles. Looking at the long-term, 3D TV could make a comeback. The technology can be re-implemented at any time and modified for 4K, HDR, or other TV technologies, if TV makers, content providers, and TV broadcasters wish it to be so. Also, the development of glasses-free (no-glasses) 3D continues, with ever-improving results. Would 3D TV have been successful if TV makers would have given more thought about timing, market demand, technical issues regarding product performance, and consumer communication? Perhaps, or perhaps not, but several major mistakes were made and it appears that 3D TV may have run its course. In consumer electronics, things come and go, such as BETA, Laserdisc, and HD-DVD, CRT, Rear-Projection, and Plasma TVs, with Curved Screen TVs now showing signs of fading away. Also, the future of VR (Virtual Reality), which requires bulky headgear, is still not cemented. However, if vinyl records can make an unexpected big comeback, who is to say that 3D TV won't revive at some point? In the "meantime", for those that own and like 3D products and content, keep everything working. For those that desire to purchase a 3D TV or 3D Video projector, buy one while you still can – you may still find some 3D TVs on clearance, and most home theater video projectors still provide the 3D viewing option. The Samsung 85-inch UN85JU7100 4K Ultra HD 3D-capable TV is a 2015 model that may still be available through a few retailers from any remaining inventory from a limited production run through 2017. It is not featured on Samsung's site amongst its current offerings, but the official archived product page is still available. No Samsung 2016 (models with a K), 2017 (models with an M), or 2018 (models with an N) at this point is 3D capable. Whatever 2015 model supply (signified by a J) is in the pipeline is what is left, unless Samsung announces otherwise. If you have room for an 85-inch TV, and you are a 3D fan, the Samsung UN85JU7100 may be a limited time opportunity. Another remaining option is the 65-inch Sony XBR65Z9D 4K Ultra HD TV with a 3D viewing option which is a 2016 model that is also still available on a limited basis. If you are a die-hard 3D fan, check out the continuing 3D Blu-ray Disc reviews on Blu-ray.com and network with other fans from around the world at the 3D Blu-ray Movie Enthusiast Group on Facebook. Can You Watch 2D on a 3D TV or Video Projector? Are Curved TVs a Gimmick? Why Do You Need To Wear Special Glasses To Watch 3D?